Wednesday, March 20 marks the first day of spring, which is cause for celebration—and Dairy Queen’s doing so in the best way possible: free ice cream. That’s right, DQ is giving away free soft-serve cones. Happy Free Cone Day, everyone! 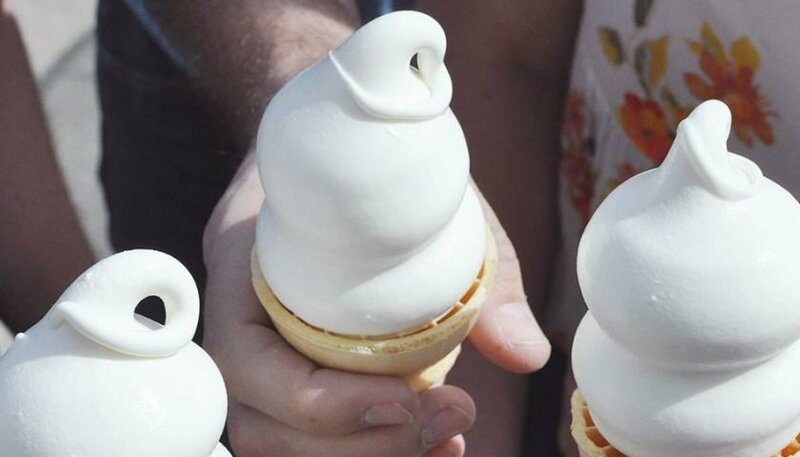 DQ fans can order a free small vanilla soft-serve cone with the chain’s signature curl on top at participating non-mall DQ and DQ Grill & Chill locations throughout the U.S. Each customer is limited to one cone, while supplies last. A national consumer survey commissioned by ADQ found that “people are happier on Free Cone Day than they are on their own birthday,” and 92.2% of Americans say that a DQ soft-serve cone would make them happy. Consider me part of that percentage! The good news doesn’t stop at Free Cone Day, though. From March 21 through March 31, DQ is offering a small regular or dipped soft-serve cone for just 50 cents. You can only redeem the offer with the DQ mobile app at participating locations.